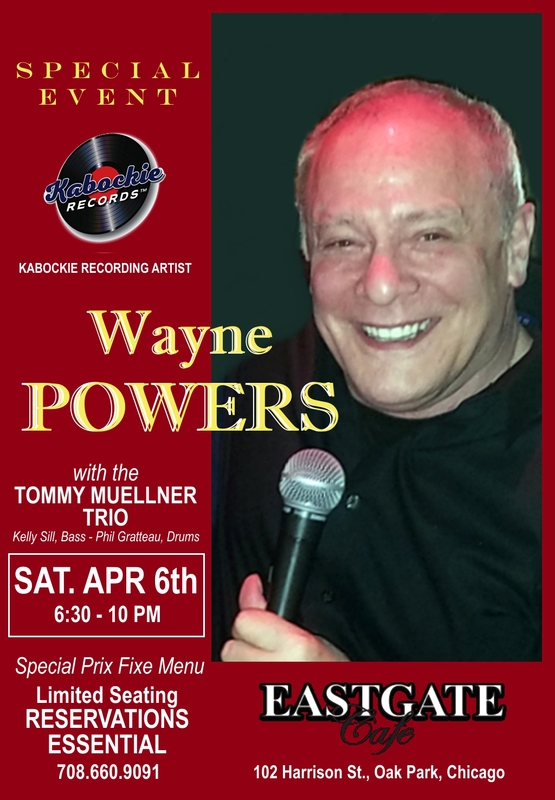 Don’t miss this opportunity to catch Wayne with a first-class jazz trio in an intimate setting for an entire evening of great music, fun and fabulous food. (Tommy Muellner, Keyboard; Kelly Sill, Acoustic Bass, Phil Gratteau, Drums). Special Prix Fixe Menu. $45 per person. Life goes by too quickly. It’s hard to believe that it’s been 25 years since I recorded my last CD, “Plain Old Me,” with my “Hoi Polloi” band back in Los Angeles in 1993. But simple math can be unforgiving. In the intervening quarter century, my life has been full with both the poignant and the joyous – as all lives are. I’ve been working on getting my vocal “chops” back up for the last few years with the idea of getting back into the studio and giving voice to the last 25 years of life and love – as I’ve lived it and felt it. And so, with The Great American Songbook as my script, I’ve selected some truly classic and wonderful tunes that speak deeply to me and, hopefully, to you. Some you’ll know and a few you may not be familiar with – yet. The result is a personal yet universal saga of love lost and love found. We’ve all been there and each tune on this album dwells with authenticity in a different aspect of the eternal story which you’ll probably recognize — in some cases, all too well. There is a select array of torch songs, or what I call “saloon songs” — heartfelt ballads you’ll associate with a jukebox and wet quarters and soggy dollar bills in some dimly lit barroom. And then there are those uplifting tunes of love’s pure, unbridled joy. It’s all captured on this album. I’m excited and honored to be working with some top-flight jazz musicians on this special recording: Ziad Rabie, Sax. Keith Davis, Piano. Ron Brendle, Acoustic Bass. Al Sergel, Drums. This is a magical combination of talent that makes each of the 14 tunes sparkle in their own unique way. The album will soon be available for digital download on many online music platforms, as a CD — and also, as a limited edition 180 gram audiophile vinyl double LP! The sadness of watching the devastation from Hurricane Harvey on the news was softened somewhat by seeing Good Samaritans come forward to help rescue friends, neighbors and absolute strangers – along with their beloved pets. That’s Texas for you. Nowhere is that inspirational spirit more evident than in Beaumont and Port Arthur. I know it first-hand. It was just over 30 years ago that I spent some time there on location for a film with longtime friend Paul Sorvino, Abe Vigoda, Lorne Greene, Ina Balin, June Wilkinson, John Moskoff and many others. I still have such fond memories of the warm hospitality and gracious welcome we received from the good folks of Beaumont while we lived, worked and played there for several weeks.